Ben Gleisner is an economist, environmentalist and social entrepreneur. He has founded several businesses and charities, and worked for 6 years at the New Zealand Treasury - where he lead the development of the Living Standards Framework. 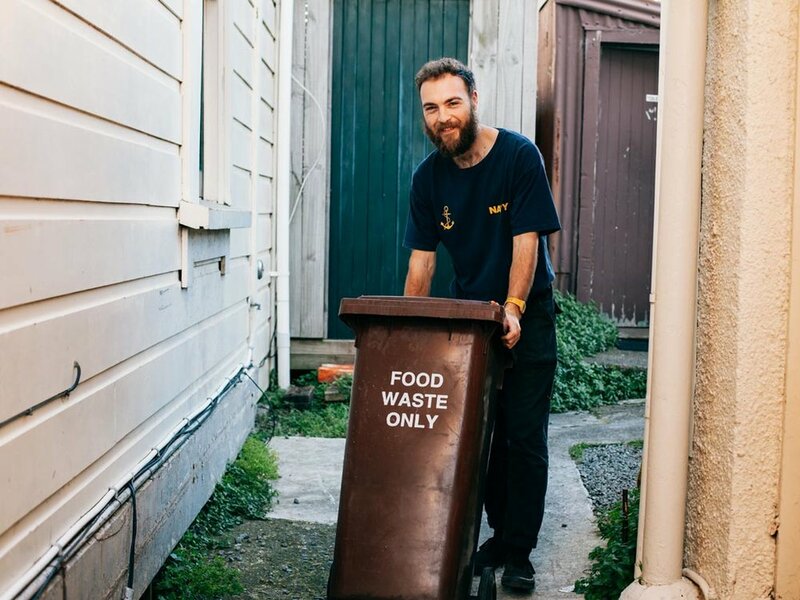 Ben co-founded Conscious Consumers while working at the New Zealand Treasury, and has grown the social enterprise to a thriving New Zealand movement with over 20,000 consumer members and 500 business customers. His vision is a world where consumers and businesses work together for the good of people and the planet. Ben has recently moved to London with his wife and two children, where he has launched CoGo, a service connecting businesses and consumers for the good of people and planet. Ben provides insights into founding a technology platform in New Zealand and UK, and how connecting consumers to ethical businesses can create positive impacts for people and the planet. [Ben Gleisner] - Before Treasury I thought I wanted to be a doctor and my dad is a doctor so I was like "Oh let's go and do medicine." But I think I quite quickly realised I wanted something a bit more practical and not so determined about the next 20 years of my life. So I bought a small cafe, and started to run my own business and really liked the idea of having some control over how that business ran. I suppose I tried to do things good around fair trade or you know, using good packaging and things and at that point set up a music festival that was all around promoting sustainability, zero waste, trying to get people to think around environmental and social impact. So that's like 20 years ago now. That was a lot of fun, running my own businesses, but I didn't feel like I was having as much impact as I wanted. So then I was like, “let's go back to university, let's go and do a Masters in economics and environmental studies” and ended up at Treasury and thought that was probably a good place to try and create impact in the world. But again, I think I felt that stuff wasn't happening fast enough, but I did a lot of interesting work at Treasury. It was at that time when, myself and my co-founder, Melissa, decided to set up a charity and launch Conscious Consumers in New Zealand in 2010. And yeah, I guess I just see social enterprise as an amazing vehicle that combines the sort of social purpose and public good aspects of Government, but with this innovation, ‘can do, get stuff done’ attitude that sometimes the commercial and private sector’s more known for. So yeah, I think it's got the potential to change the world. We're a technology platform that connects consumers with businesses for the good of people and the planet. It's funny thinking about economics and Treasury; like really the platform is being built for those sort of economists that did ECON101. Really we're trying to correct a market failure, which is that consumers care about issues around social and environmental good, but they often can't find businesses that do things that they care about. So there's a lot of transaction costs, a lot of time basically spent trying to find whether or not this business really is doing things that they say. And the same with the businesses, they're actually looking to do a lot of improvements around what they do, but they're not really understanding and getting signals around what specifically consumers are saying they care about. So the first thing our platform really does, is it gives consumers… we collect data on consumer’s values, so whether you care about climate change, or paying better workers, or supporting workers into work who are disadvantaged; whatever the issues that you care about, we gather that data and then we help you find businesses that align with those values. So we say, ‘look, hey, here's a local place down the road that's paying a living wage. We know you care about living wage, so we’re helping you out to find that local cafe.’ But we also link your debit and credit cards to your profile so that every time you use those cards you essentially send a message to businesses about what matters to you and collectively that message is changing hundreds of businesses' behaviours in New Zealand to date. So we're actually using our collective purchasing power to change the world. In short the answer is yes. It's all anonymous obviously. I’ll give you an example. One of our businesses in Wellington is a local bar. They jump on the platform and they get data on two things. They get to see what their customers are saying they care about. So say $10,000 was spent last month by consumers in your business and the top issue they care about was paying workers a better wage. So that was a bit of data that that bar got. But the bar also gets to look and see what are the trends around their local area. What are the consumers, not just their own consumers, but what the consumers say in Wellington central district, what do those people say they care about and actually work is rated pretty high as well. So what that bar did was go, ‘well, I better start thinking about what my customers care about, and what potential customers care about, so I'm going to go and start paying a living wage.’ So the platform drives that business behaviour change so a business can be like, wow, that's not only something I've heard matters to my customers, but that business then gets to see the behavioural change and actually is starting to see more people spending money that were spending money already. And they get to see new customers that haven't been in their store come in. So we're able to prove, I suppose that return on investment for businesses that are looking to make changes around social and environmental good. Yeah we've been doing this thing for I guess 10 years. We didn't call ourselves a social enterprise back then because I don't know if we knew the name, but New Zealand is just a really good place to do business. You know, it rates really, really highly. I mean having come to England for a wee while, which I'll talk about shortly, just the speed of doing business, this ability to sort of connect with people really quickly. It's a small little ecosystem I guess. I feel like New Zealand's going to do well in building up that social enterprise space because, just the way that small little ecosystems are efficient and it doesn't take long to make those connections you need. But then I think it's coupled with, in the work I did, you mentioned the Treasury on the living standards framework. That's really a framework for how countries should be measuring progress. So it's a framework that the current Government’s actually just adopted as a big centrepiece for their strategy. Actually, progress isn't just about financial, it's not just about how are we growing average incomes. It's actually about how we are actually improving social and environmental outcomes as well. So I hope that the work I did at Treasury is going to help the country as a whole, is really pushing forward trying to lead the world around how we measure progress. Now, social enterprise in my mind is a great vehicle to help achieve some of those social and environmental goals. So I think New Zealand's really well placed and in a unique position to help show that social enterprise can be a big contributor to the sorts of goals that governments have. Yeah good question. I was there for 6 years at Treasury. The role that Treasury has really is to make sure that the government spends money efficiently. And that word efficiency is a good one because effectively you want to make sure that when you spend money on social outcomes you're actually measuring that the money you're spending on health or education, is actually contributing in a meaningful way to a health or educational outcome. So Treasury is very, very big on making sure the public sector spends money in an accountable way. I suppose why I think social enterprise should be funded a lot more than it is now is because it is a model of business where those social and environmental outcomes are baked into the business itself. So businesses are great because they're self sufficient, so in the end they can be sustainable on their own financial resources and so social enterprise in my mind is something the government should invest in because like with us, they invested in us, they gave us money when we were a charity at the beginning and the reason they invested in us is because rightfully we were diverting lots of waste from landfill, working with lots of cafes. But the thing about social enterprise, is that you don't need to keep on giving to a social enterprise, money from Government. You can actually give money to set up something that then has medium, long term sustainability in its own financial model. So you're effectively funding something that is going to self sustain and going to deliver outcomes and impact in the long term, which is different from a model of Government where you go and just say "Here's another bit of money to try and deliver that outcome and here's a bit more money to deliver that outcome." You can actually, I think, supercharge impact in the world if you fund social enterprise with Government. By the time we're live on this show, it'll be launched already. Yeah we're coming to London after six, seven, eight years of working in New Zealand. And really, the reason to come to London was around trying to create, we want to be a global brand, that creates more impact. We hope in five or ten years, the vision for our brand is that it's a new brand that people can look at and say, I have got hope. Yes, Elon Musk is doing his best, the UN is trying to help sustainable development goals work, whatever it is, but this brand represents hope in the world. We've chosen a new name called CoGo. CoGo basically means ‘connecting good’. We'll launch that new brand CoGo on the twelfth at the Social Enterprise World Forum. So for those of you that were there and listening to this now, hopefully you've heard about it. I'll be on stage there and yeah, the idea with this new platform is to launch into London for six months then expand across into the UK. Social enterprise here [UK] is definitely a more mature sector. It's been around for a lot longer than it has in New Zealand. Ben launching CoGo during the Social Enterprise World Forum. So we'll be showcasing quite a few social enterprises on the platform. I guess we want to be a place where people can find social enterprises, learn about the stuff they're doing, help support them and show them that they value social enterprise. But yeah, you just have a lot more social enterprises that are identified, there's thousands of them. Social Enterprise UK are one of our key partners here. I guess it just feels like a more established and more recognised name and the government seems to be supporting it. They have obviously got a clearer definition than in New Zealand. So there's a specific thing that you have to meet in terms of criteria to be a social enterprise. It feels mature, and I suppose in my mind, Government hopefully will continue to support it and get something that deserves the recognition. Social enterprise is a bit of a hybrid I suppose, and that in my mind has got many many upsides. The first thing is challenges and tensions are definitely there, but I personally have found it to be, having run my own businesses, straight businesses, having set up charities, having worked for Government, I guess social enterprise to me is a really nice combination of some of those aspects. It does mean that I think there is a little bit of a challenge around which bit of it that you focus, especially about things like the business model. One of the things that I see and have seen for years, through mentoring various social enterprises, is a real keen passion and desire around doing something that's going to create some good in the world. So very much around people jumping on that purpose. And that's really good. And that's probably what I would define as social enterprise; is that something's been set up for a purpose, and that's really important. So it's really great people do jump on it, but the two things I think probably that get missed in some of the challenges that I see, is one, being able to develop an impact framework where your entity can actually attribute impacts to your interventions. So you know, that's what Treasury and Government is all about, around funding things that have what's called an additionality, an impact that would not otherwise occur. So I think one of the challenges and things that I'd encourage entrepreneurs to be very focused on, is an impact model. That they clearly can see that their hours work, or their product that they're building, or the service that they're creating has got a measurable impact and that is something which they can feel like they know that they're the one that's created that impact from their service or product. That is a challenge. And that's hard because there are lots of other things that go on around the world that contribute to certain outcomes, that you might help support someone into a job, but you know, you really need to think through, well then what does that job then do for that person? How did that person then end up one year, two years, three years down the line? So I guess I'd think about the impact, and put a lot of effort into working out how the thing that you're doing does that. The second part of it is around your financial model. And I think this probably is the thing that I see many ideas fail on. So making sure that you know how you're going to sustain this idea, medium term. In particular, go out to people and charge money. You can look for grants, look for government support definitely, but after doing three years of grant funded and then crowdfunded and then raising money out of equity and shareholding, I definitely would encourage people to think about the various ways of making money and being as self reliant as possible. Yeah, that's a great question. And it might've been my background in economics and you know, thinking about Treasury, thinking about how we sort of fund stuff, making sure we're only funding things like funding initiatives, funding programs that could demonstrate that they were creating some social and environmental impact I guess. So my background was very clearly on, if we can't measure what we're doing there's no point in doing it because in the end it's like we don't get up and work our asses off, do all these things that we weren't actually being able to attribute and measure that. So from the very beginning we're like, ‘are we measuring it?’ But for us it's really important, especially as a consumer facing thing. But whether it's your customers, whether it's your shareholders, whether it's your staff, whoever it is in your social enterprise, you should be thinking about how you're communicating that impact. So to me, it's really, really important that we as a sector are able to measure, stand by and then also communicate that in a really compelling way. I am inspired by a big supermarket chain deciding that hey, climate change is an issue that really matters to their customers and they decided to use electric cars to deliver. The big corporates inspire me. The small little cafe that's in London here that's basically bringing people off the street to help them train as baristas to help set them up in houses, to give them a leg up. There are inspiring stories across the world around businesses that are doing their own little thing. You know, like in the end, every business is a business and needs to sustain itself. We're trying to build an ethic of social entrepreneur thinking in the mainstream. So I'm just continually impressed by hundreds of businesses. Sure, they all need to make a profit and I guess that's the end game is these businesses that we deal with, all of them are self sufficient. They have to pay the workers, pay the rent, pay the bills, right? But what they're starting on their journey, is to realise that they can do that, and then at same time, bring people off the street, move to, you know, more free range chicken, start thinking about more women on the board of the company. And all these things sometimes come at some costs, sometimes come at no cost, sometimes come in some savings, but our model is that they in the end will come at some return so that those things that you do in your business that are actually doing good for people and the planet, that in economics is an externality. It's something that happens in the world that you may individually not benefit from as a business or a customer, but there is a benefit to the world. We think that businesses that do start recognising their social and environmental good, communicating to consumers, they will see more consumers come in their door. And we want to be the platform that measures that behavioural change and provides us the evidence for a future economy that delivers social and environmental good. Fantastic. So good news for those of us that are doing good. Exactly. It's going to happen. There's a world waiting for it. I've believed it for many years. You can contact Ben on LinkedIn or Twitter. Please feel free to leave comments below.